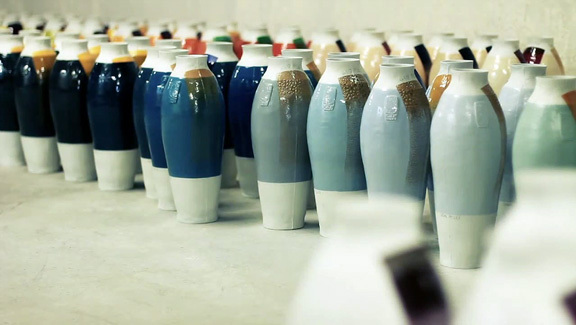 A new project from an old favorite: Hella Jongerius' 300 vases. love her, great designer. She made cool furniture for the VITRA company. I like how she´s playing around with colors..
nice picture and really pretty!! What colors! 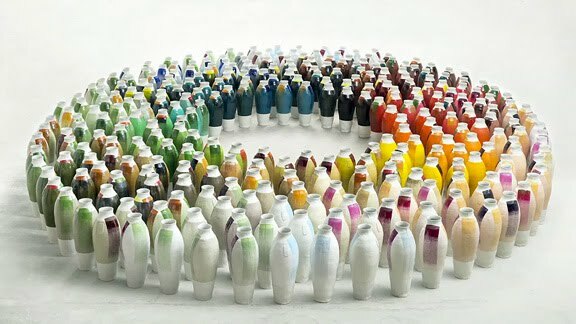 How fun it would be to pick my favorite one to keep from amongst such lovely vases.